Yeeeah. Hmm, she does. I kinda like the pointy nose look......and I know that's what they look in anime....but it often really looks like there is a white line down her forehead and nose. The incredibly sharp crease down the middle of her face is REALLY noticeable in a lot of the promos and is bugging me something chronic. Is that a lighting thing, or is her face really that sharp? She has a very sharp face. She comes with a lot of morphs and you can soften her face quite a bit. Looks nice, now I hope 3dUniverse will convert to G8 Sam, Sadie and all their toon chars! In the main promo for the base, this one, what is the orange, red and white outfit she is wearing? Also the red shirt and short skirt in the 5th pop up, this one, and finally, the 11th pop up, the sci fi one with the black bodysuit... this one, - i think the arms are from DarioFish's "more than human" but I didn't think there was a G8 version of that, so I'm wondering if it means they are the G3F version autofit to G8? (they autofit surprisingly well). And finally AGAIN.... lol....the 8th popup with the "garage kits mats and shaders"....it says "hair mat"...is that for a particular hair, or is it a shader to use on any hair to get that look? Surprises me that the base figure has promos using clothing and stuff that's not included in the pro bundle. Totally agree! i went zipping to buy pro bundle just to realize most of the stuff in the promos werent actually included. Talk about annoying. Nor is the nurse outfit, the hair with two bobby pins, teh pig tail hair with bows, and the open-except-for-one-button outfit. A bit misleading. And is that toon shader for Iray even available? And that eyelash render, how much postwork is that, or are those shaders available? Yeah I'd like to know this too. I don’t think she’s going to mix well face-wise with other characters, as the anime eyes add-on look to be pretty much all or nothing. (The head morph requires the eyes add-on, and the add-on requires the full head morph to look right.) However, as someone else mentioned, she does come with a range of her own face and body morphs and the G8 face morphs seem to work quite well on her, so she shouldn’t be too difficult to customize. Yes, by default she does. But she also comes with a bunch of new morphs that are catagorized under "Stylized" for most of her body and face parts. Quick and easy to round out her nose and chin. hmm ok that looks better. (man, that is a Shirley Temple mouth! LOL ) Her eye textures have those "highlights" baked in don't they? I'm sorry, but she looks absolutely horrifying to me. 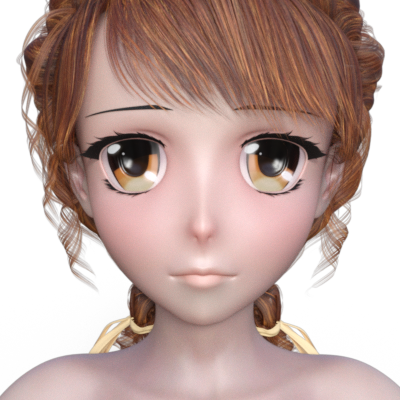 The bug-eyed anime look does not translate well to 3D IMHO and this is just.... creepy. Yuck. Yep. She has a sort of cornea that goes over the whole thing, though, so theoretically you could eschew painted on highlights and get real ones. I suppose tho that's the anime look - those big white spots on the eyes. Realistic eyes wouldn't look right on her. Just....I prefer getting the highlights with lighting. She comes with over 50 eye colors and quite a few different iris designs - they all have a baked-in highlight, but the highlights vary greatly from a tiny highlight to really big highlights depending on the eye option you pick. The lips have morphs to customize with. In my render she's making a face, so her lips look a bit exagerated. Hmmm. My eyelash presets aren't working for Sakura. I can manually apply them but they're too short/barely show up... any one know this problem? They look fine for me. Have you tried using the sliders? LashUpper A Length needs to be in negative value (eg. -200%) to increase its length, though. And if those morphs are not enough and you want to change her face more, here are some preview (skin tones, eyeliners and lip colors are included) from my upcoming pack. These are delightful! They remind me of "Living Dolls" that were popular when I was a kid. Sakura looks great and is definitely going on my wishlist. I don't use a lot of toon or anime characters in my commercial renders but I do have a soft spot for them. The character and bundle look very nicely done. Ooh, I really like this one. Diva. She reminds me of someone here, can't think of who at the moment. Well. I'm only getting 51% off Sakura Pro bundle and 61% off addons. So your 61% sounds great. Yeh, me too... Too much cuteness and attitude. Well it currently shows only 10 items in the pro bundle; Charlotte for example has 12. I was surprised to see that I must admit, I'm hoping it's an error as others have been reporting issues. The Pro Bundle clearly suggests that the Long Pigtail Anime Hair should be part of it...it has a promo picture OF the LPAH in its list, and the LPAH doesn't show up on the list of add-ons, so I think they just forgot to include it in the Pro Bundle list, and it'll be fixed in the morning when folks come in. Reporting Sakura 8 base figure did appear in my DIM for download. I bought the bundle at 6:30 Eastern Time, US. Thank you to folks who submitted the ticket and to Daz for addressing quickly. Divamakeup, your renders are spot on. Killing my bank account, but great illustrations of what I wanted to see before I bought. I am one of those who enjoys toon and other stylized looks. Will have to review the eye-gap issue. Hoping that it is only part of extreme rotations or odd camera closeups. Maybe can conjure up some morph fixes via the bridge to Hex if need be. EDIT: Long Pigtail Anime Hair did not get included yet. EDIT2: Long Pigtail Anime Hair appeared in my DIM list. Thank you Daz for responding quickly. She doesn't mix particullarly well with other morphs mainly due to the eyes. 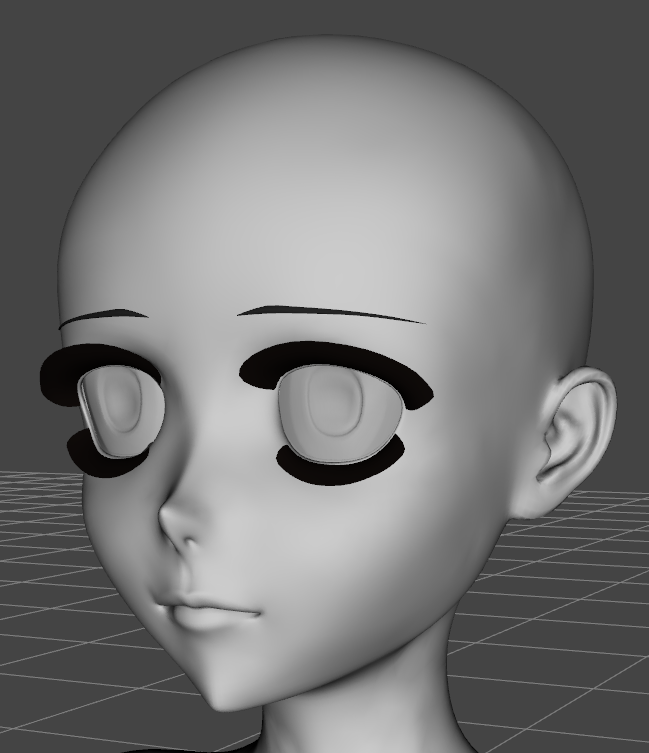 I can't seem to find a way to add the eyebrows lashes and eyes seperately only by loading the full preset. When I loaded a Sakura Preset in and unfitted and unparented the eybrows and then fitted them to a G8F base they don't follow the morphs. The extra morphs that she comes with though are rather useful which is why I'm keeping her, if it wasn't for these she would be very limited. The Eye Scales morph changes the size of the Irises and the Iris Scales Morph increases the size of the pupils. I have mixed her here but had to scale the eyes (not Sakura's to fit the sockets) the texture and eye texture is from the Toon generations. There was a lot of fiddling to get things to work, the eyebrows are only parented. Long Pigtail Anime Hair product is glitched. Page url linked from https://www.daz3d.com/sakura-8-promotion is https://www.daz3d.com/long-pigtail-anime-hair which says I don't own it. SKU is 44295. Product name is Long Pigtail Anime Hair. Page only lists Genesis 3 Female compatibility. If I go through Product Library the Product is called Long Pigtail Anime Hair for Genesis 3 and 8 Female(s) and there is no link for the Product Page. SKU shown in the Download link is 49321. It does download but I haven't installed it to see if it works correctly. Looks like the hair was updated to have G8F compatibility and then a new SKU was isssued without a corresponding product or some other wierdness like that. I imagine they'll figure things out eventually, LOL. 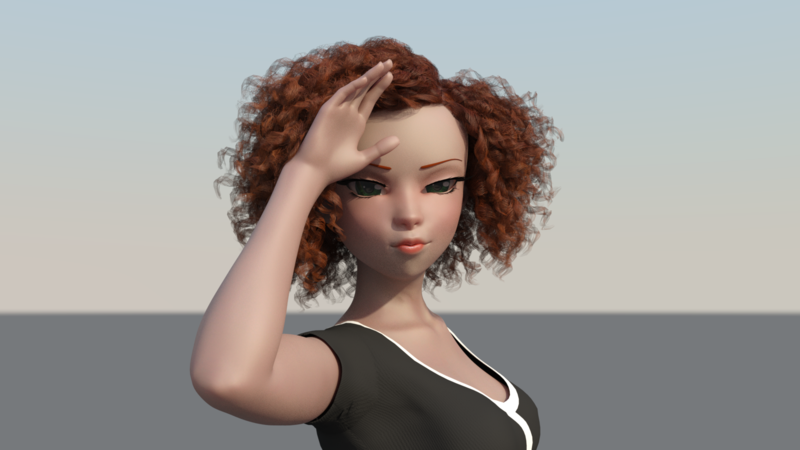 I created a Iray skin setting for her that is a bit richer in color and corrects the issue with the reflectivity within the eye (Pupil and Iris) and a few other odds and ends. Is it possible to use Genesis 8 Female clothing, hair, morphs, poses and animations with Sakura 8? I did not see this one coming. I was thinking we would get something similar to Aiko. It’s a cute character but not something I can use. There was one clothing item in the bundle that I could use a few parts of in another situation so I got that and it’s associated texture sets.